This article has a detailed report of 2.0 Box office Collection across different regions including worldwide collection. 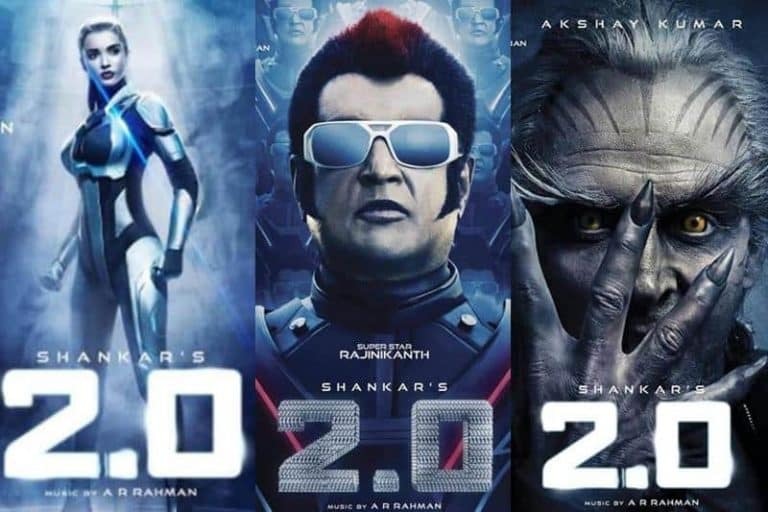 For simply city stake, we have considered the collection of a region as the collection of the 2.0 language film, though there can be some minor difference for example between 2.0 Tamil Collection versus 2.0 Hindi Collection. For the first 25 days, the Total 2.0 Box Office collection is around 775 Crore against a budget of 540 Crore. There were speculations that 2.0 may outperform Bahubali 2, but that never happened. Apart from North India, 2.0 performed really well in Tamil Nadu. It has grossed over 170 Cr from Tamil Nadu State. There is no doubt that the movie will be doing about 100cr on its First Day Box office collection. But there is always a Good & Bad phase & hence we have our Robo 2.0 Box Office Collection Prediction. Robo 2.0 is one of the biggest Hit of Rajnikanth. This movie was made with a budget of 543 Cr. By the 1st Week, the movie collected more than 527 Cr. Robo 2.0 Box Office Collection till now is above 800 Cr. Considering our Prediction, Robo 2.0 did cross 600 Cr by the 1st Week and above 850 Cr till now. Check below our scientific approach to measure if Robo 2.0 is a Hit Or Flop movie. According to Business Today, Robot 2.0 is expected to break the record of Baahubali 2 & Kabali Box Office collections. As per Ramesh Bal, this movie will release in 140 Cinemas in Malaysia, which breaks the record of Rajinikanth’s Kabali which was released in 130 Cinemas. Robot 2.0 has already made 120Cr on its pre-booking just in Tamil Nadu & the expectations have reached around 200Cr on its First-day collection. 2.0 will get a release in May 2019 on China with 56,000 Screens in 10,000 theatres. With 56,000 Screens in China, 2.0 makes the widest 3-D release for any Foreign film in History. Comparing 2.0 with Dangal which had 9000 Screens, it looks like 2.0 will break all-time foreign film record. Lyca Production has associated with HY media to distribute the movie across China.